SNOE’s third release this year is another part of their celebrated series SNOEflakes where they bring together tracks from varied artists, both known and unknown, to showcase the sound of tomorrow. Luca Lento is known for his upbeat, rhythmic sound and sets off the EP with “Al Colosseo”. In true Lento style the track is an energetic fury of drums and percussions infused with elements of tribal decent. Second track on the V.A. is from label boss Andreas Henneberg himself. After his massive album “SEVENTEEN” he is back in the studio making music, and his first SNOE appearance this year is an addictive groove monster with a hard-hitting bassline underlined by vocals and heavy synths really delivering you the attitude of the song. Newcomer KOjE provides the third track, and this one has already shown itself as a dancefloor bomb. Skillfully combining a dirty groove with slamming chords, this is not be missed as it lines out a bright future for this talented artist. 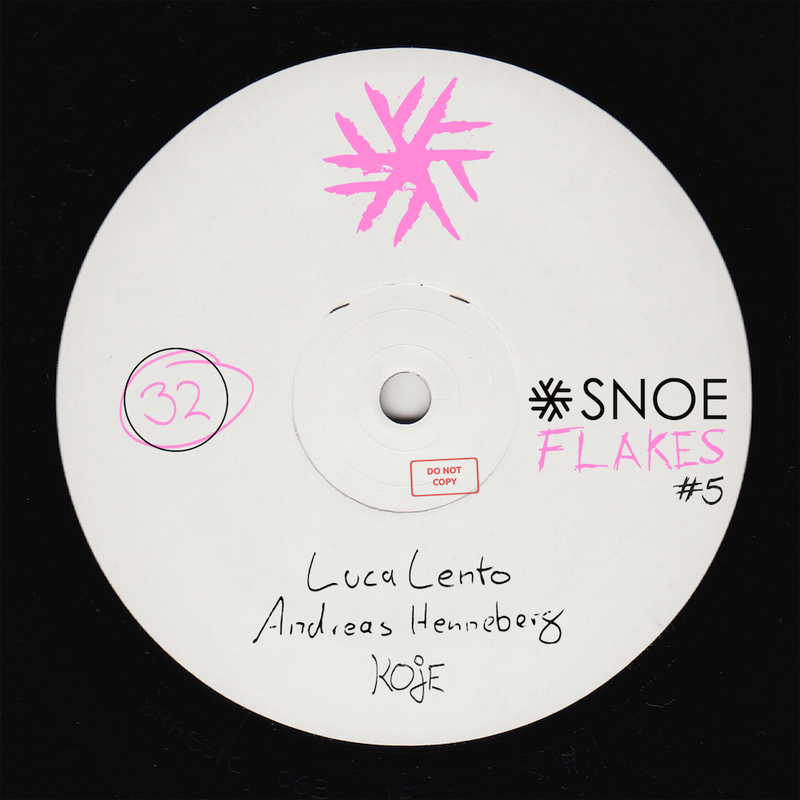 SNOEflake #5 has one goal and one goal only, creating some proper damage on the dancefloors around the globe.